In Game Changers we meet the coaches and sports scientists who rethink how sport is analyzed and understood, how athletes train and perform under pressure. In Liverpool in the 1980s, a motley group - a mathematician, a physiologist, a psychologist and a former Olympic basketball player - began to pioneer new ways of tracking performance. Over the decades that followed, performance analysis came of age, becoming an essential component of any elite team, from NBA champions Golden State Warriors to English Premier League title contenders Manchester City to America's Cup high-performance sailing teams. Using a hybrid of scientific method and trial-and-error, scientists have uncovered the tenets of accelerated learning, the mechanics of physiological adaptation, the organizational principles behind elite teams, the understanding of how hormones and environment affect performance. These discoveries are not confined to athletic endeavors - they are universal and reveal what it takes to win not only in sports, but are applicable across a wide range of disciplines, including business, leadership and education. 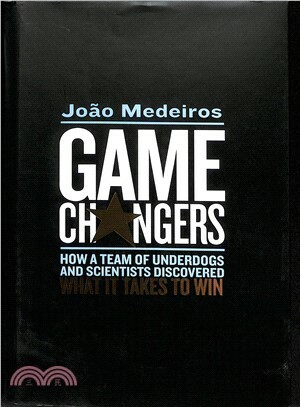 Joao Medeiros is senior commissioning editor for Wired magazine. In 2015 he was shortlisted for the Periodical Publishers Association Writer of the Year Award. He also curates Wired Health, a successful conference which every year congregates the top global healthcare innovators in London. He lives in London.